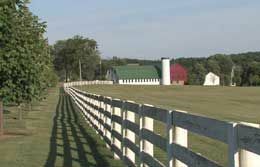 At Comparity Brokerage, LLC, we protect farms and ranches of all types and sizes with different coverage limits and risks depending on the type and size of farm. A Farm and Ranch policy will protect your farm or ranch for losses to your home or dwelling, farm property and liability risks. If your farm or ranch is a business as well, you may want to consider other addtional coverages like loss of income, workers' compensation, commercial auto and errors and omissions. The different options and coverages for a Farm and Ranch policy can be confusing, so having an independent agent is advantageous to explain the details and help you select the best option based on your personal needs. Represneting virtually all Farm and Ranch insurance carriers in New York, our policies offer many coverage options so you can balance how much risk you're willing to assume with the premium you're willing to pay.